DotBit Limited, a Maltese Registered Company with Office Address situated at: 48, Triq Stella Maris, Sliema, SLM 1765, Malta, which owns and operates the ‘OCNEX’ VFA Exch1ange Platform in Malta, hereinafter referred to as‘DotBit Limited’ or ‘OCNEX’ or “company”, which term shall refer to and include its owners, its subsidiaries and affiliated companies, directors, investors, employees, officers, representatives, affiliates, or other related parties. “User” or “Client”: Persons availing of the OCNEX Services (as defined below), directly or indirectly, are referred to herein, as “Users”. 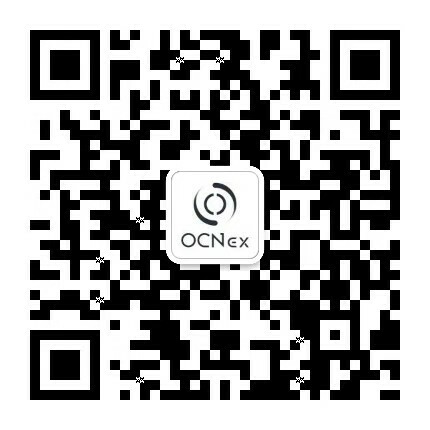 A user may create a User Account by first downloading and installing the OCNEX App on their Android or iPhone smartphone by using the Google Play Store or iOS App Store, as applicable, subject to the terms contained herein. User shall comply with the procedures prescribed for opening the User Account, including providing a valid and existing email address and mobile number for completing the registration process and shall provide requisite know your customer (KYC) details and documents. OCNEX reserve the right to reject registration or validation of a User Account on any grounds as it deems suitable, at its sole discretion, with due regard to legal and regulatory framework concerning cryptocurrencies. Users shall provide the details, along with digitized copies of supporting documents for such details, simultaneously with the application for a User Account on the OCNEX Platform, failing which the User Account shall not be activated. User hereby consents to retention of the above details and documents by OCNEX for its own use, for as long as OCNEX required by law. OCNEX shall be entitled to retain user details and documents even for of those Users whose registration has been rejected by OCNEX. OCNEX shall, at its sole discretion activate the User Account upon verification of the details provided through the KYC process included in this Agreement and in the AML Policy. In the event of any factual inaccuracies or other problems with the details or documentation provided by a prospective User during this process, OCNEX shall be entitled to forthwith terminate the User Account without notice to the concerned User, and such User shall not be permitted to use the User Account or the OCNEX Services thereafter. OCNEX is entitled to terminate existing User Accounts for non–compliance with such requests for further details or information after due notice. OCNEX may, at its sole discretion, send to the User intimation of reasons for non-activation of a User Account. OCNEX is not under any obligation, however, to provide such notice. Only natural or legal persons may apply for a User Account and avail of any part of the OCNEX Services. Natural persons must possess a valid passport as an proof of identity and a national ID or driving license as proof of address. Legal persons must have valid formation and other documents as OCNEX may decide from time to time. Upon verification, any of the documents, information, or representations are found to be falsified, invalid or otherwise inaccurate, OCNEX shall forthwith terminate the relevant User Account without notice to the concerned User. Such termination might occur at the time of User Account opening or at a later point. process contained in this Agreement and in the AML Policy. In the event of termination or deactivation of an existing User Account, Users shall be duly intimated by OCNEX, along with reasons for such deactivation and the procedures for redress (if any). Delay in termination of such User Accounts shall not amount to a waiver of the mandatory information and documentary requirements contained in this Agreement and in the AML Policy. In case of corporate, the antecedents of the company (name and registered office in particular) and of all promoters and directors will be traced. An assessment shall be made of the financial worthiness of the user by obtaining appropriate declarations as and when required. No users shall be accepted where it is not possible to ascertain the identity of the client, or the information provided is suspected to be non-genuine, or if there is perceived non-cooperation of the user in providing full and complete information. OCNEX shall not continue to do business with such a person and file a suspicious activity report. OCNEX shall consult the relevant authorities in determining what action it shall take when it suspects suspicious transactions being carried out. No transaction or account-based relationship is to be undertaken without following the user KYC and Due Diligence Process. OCNEX may, if so required under applicable Law, file know-your-customer records with the Central Registry of Asset Reconstruction and Security Interest of Malta (“CERSAI”) within 3 days of on-boarding a new User and may communicate a User’s KYC Identifier once it has been assigned by CERSAI for such User. Additional documents may be sought by OCNEX based on information security, etc. Customer Identification Procedure (CIP)– Customer identification means identifying the person and verifying his/ her identity by using reliable, independent source of documents, data, information or by using third-party services. OCNEX needs to obtain sufficient information necessary to establish, to its satisfaction, the identity of each user. Subject to OCNEX’s risk analysis, the nature of information/ documents required would also depend on the type of customer. Certificate of incorporation and Memorandum & Articles of Association, or any other relevant founding documents. Copy of a company telephone landline bill or a recent company bank account statement addressed to your company name and office address. Note: Apart from these above documents OCNEX reserves the right to call for additional documents for further verification based on Users volume and monitoring pattern. If the User has any complaints, feedback or questions, the Company may be contacted via support@ocnex.io and we will in our best efforts try to resolve the issue with expediency. OCNEX shall not provide any support services to walk-in users. These terms may be periodically reviewed and revised. The revised terms will be uploaded on the OCNEX Platform and will reflect the modified date of the terms. The User is required to periodically visit the OCNEX website and review terms and any changes thereto. Continued use of the OCNEX Services constitutes the agreement of User to the terms contained herein and any amendments thereto. This agreement or the responsibilities or benefits arising therefrom cannot be assigned by User save and except with the prior written consent of OCNEX.